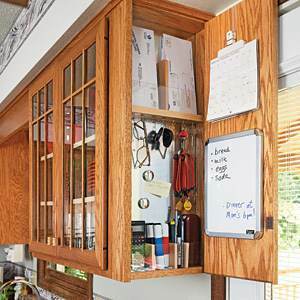 Every home needs a message center for saving scraps of information, posting a grocery list, passing messages and displaying the cute or informative graphics or notes of the day. 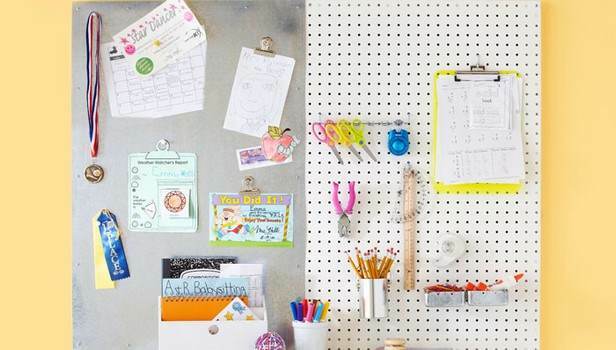 These free plans for bulletin boards and message centers range from simple cork or chalkboards to complete message centers with shelves and a small writing desk. Choose one to fit your skill level and create a handy information center for your home. 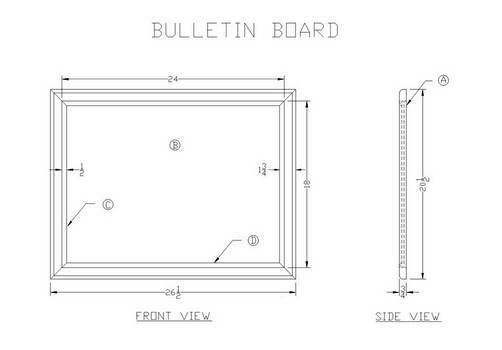 Free plans for bulletin boards give a beginning craftsman simple plans, instructions and tips to create an attractive an useful piece for their home or office. Stock lumber and simple tools, used in conjunction with chalkboard and cork, are all that a woodworker needs to build a custom message center that will be a versatile accessory to keep track of busy family life. Paint or stain to match your room decor and add an attractive focal point to the area. This plan has 15 steps and a diagram for building an attractive cork bulletin board using cherry wood. 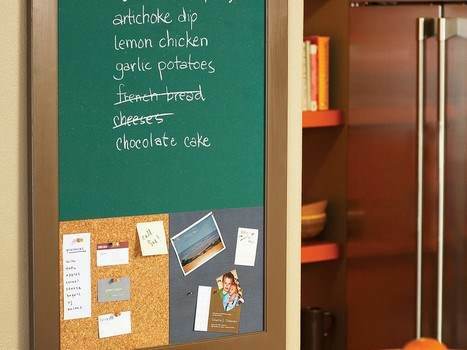 To avoid clutter on your fridge, this unique message board can help you display your children's drawings or even important reminders. Here is a project for a message center with a bulletin board and chalk board. You can paint the frame to match your kitchen's decor. 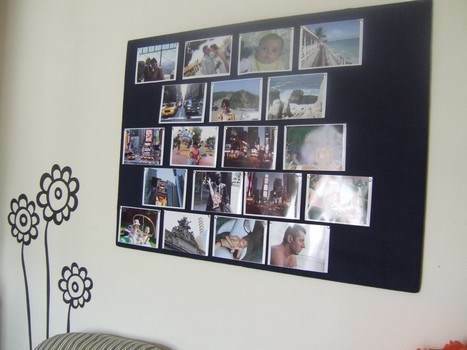 This is a simple bulletin board which is great for placing notes, photos, cards and more, plus it only takes a couple of hours to make. 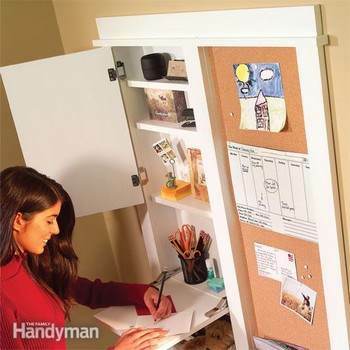 A message board that has it all - a calendar, hooks, corkboard, pull out desk and a three shelf cabinet. Post accolades, pictures and regularly used items onto this memo board made from perforated hard-board and a GV flat-sheet. 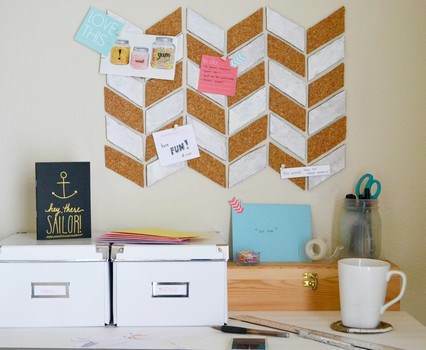 Create a handy bulletin board in a Herringbone design with cork board and acrylic paint for use in the office or a teen's bedroom. 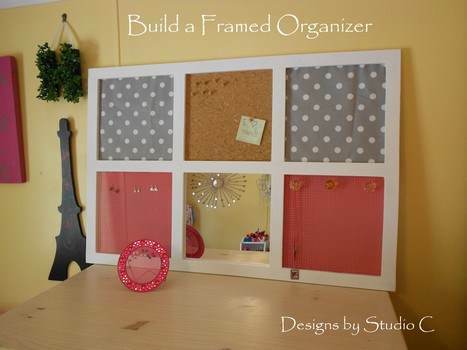 Use this easy to follow plan to help you create an attractive pin board that can easily be placed most anywhere. 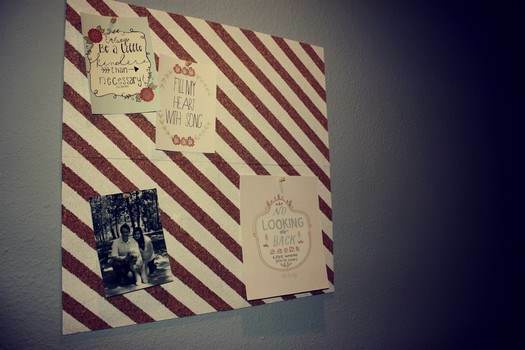 Have fun making this bulletin board out of cork tiles and painted on stripes in colors to match the room to be placed in. 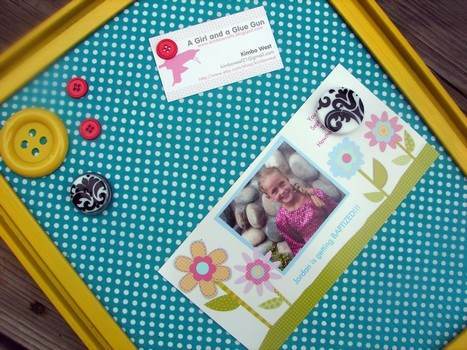 Light weight fiber board covered in your choice of prints and fabric is used to create a pin-board in any size. 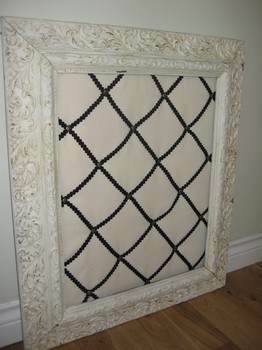 This plan covers a memo board with canvas then adds on tacked-on ribbon and frames it with an ornate frame. 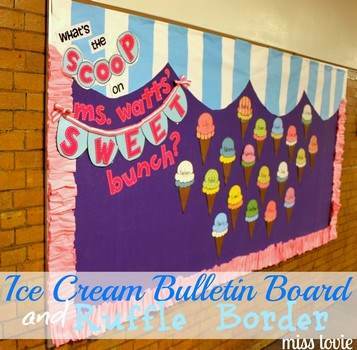 This bulletin board has a sweet ice cream theme, is great for parties and can be made using these detailed instructions. 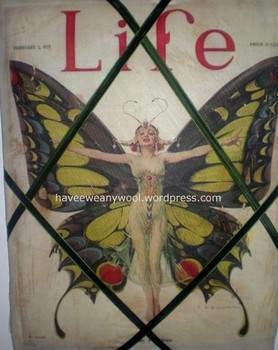 Cover a sheet of metal with some fabric then add a frame and using some decorative magnets add pictures and other items. Vintage style fabric, ribbon and cheap canvas come together to create an eye catching bulletin board. 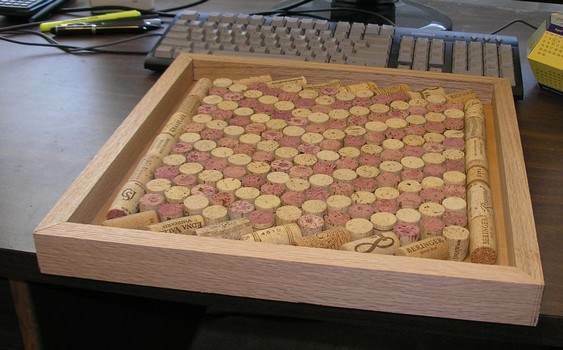 Fifty wine bottle corks are used to create a unique cork board that looks great in the kitchen or bar area. 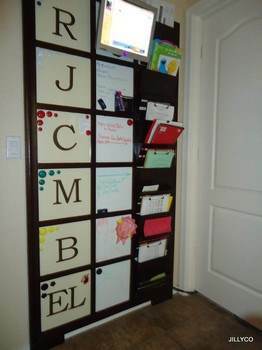 This tall board has a section for every member of your household each with their own mark board and letter bin. 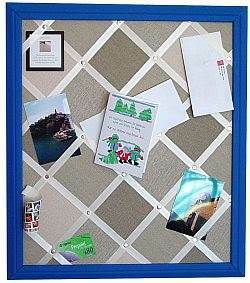 Make or use an old wooden window pane to make a versatile bulletin board and let your creativity fly. Natural cork great for bulletin boards and hundreds of other things!